Steve Beauchesne is the Co-founder and CEO of Beau’s All Natural, a family run, employee owned and totally independent Canadian craft brewery. Since its start-up in 2006, Beau’s has won more than 125 national and international awards for beer-making, marketing and packaging design, sustainability and business practices, and has raised more than $1 million for charity, community and independent arts. Steve certified Beau’39’s All Natural as Canada’s first-ever B-Corp brewery, founded February 1 as International Gruit Day and successfully lobbied to have some of Canada’s old beer laws changed to recognize the rights of craft brewers. 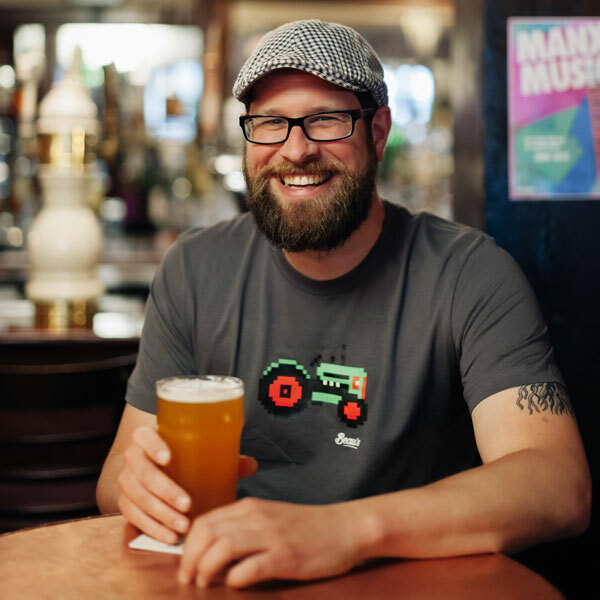 Steve is Vice Chair of the Ontario Craft Brewers Association and a frequent presenter at craft brewing, culinary, and sustainability seminars and events. Steve received an Honorary Honours Bachelor of Business Administration (Hospitality) from George Brown College and The Best Of Award (Elsie Awards) in 2018, was selected for the Ottawa Chamber of Commerce “Top Forty under 40” in 2015, and in 2013 Steve was recognized by the United Way with a Community Builder of the Year Award. Steve holds a B. Commerce degree from Toronto’s Ryerson University, and his kids think he’s a bit of a goofball.